When you’re ready to purchase your first home, there’s no doubt you’ll have many decisions to make. Whether it’s finding the perfect home or deciding on the right mortgage, it’s important to know your options and to carefully evaluate which options best serve your needs. There are numerous programs and advantages for the first time home buyer, but chances are, you won’t qualify for every program. For example, if you are an active duty member of the military or you are a veteran or a surviving spouse, a VA loan can be an excellent option for guaranteeing a mortgage for your new home. As a first time homeowner, having part of your mortgage guaranteed by the VA can make it easier for you to qualify for financing. If you don’t qualify for a VA loan, you still have plenty of other options. One type of loan that is extremely popular is the FHA loan. With FHA backing, lenders assume much less risk when providing a mortgage to first time home buyers. This type of loan is wonderful for buyers who are just starting out. It offers a competitive interest rate with low down payment, and closing costs are typically much less than you would find with a conventional mortgage. In addition to a variety of different programs and loans that are available for a first time home buyer, it’s also important to keep in mind the unique characteristics of an adjustable rate mortgage (ARM) and a fixed rate mortgage. These include both benefits as well as limitations. For example, an adjustable rate mortgage will typically start with an interest rate that is lower than a fixed rate mortgage. This can be helpful for the first time homeowner who has a number of expenses related to their home purchase and move. However, payment for these mortgages often go up after the initial period. This could be a good option if you plan on moving in a few years or if you expect your income to increase before your mortgage payment goes up. The fixed rate mortgage offers much more stability because you know exactly how much you’re going to have to pay each month. There’s no need to worry about increasing interest rates because your mortgage is tied in at the current rate (or “fixed”). This is often a great option for homeowners who plan on staying in their home for many years. As a first time home buyer, it’s important to shop around and find the best program to meet your particular needs. Your real estate professional will often be able to provide information regarding programs that are available as well as answer many of your questions regarding various types of mortgages. Do your research and find the financing that will meet your needs in the short term as well as in the future. 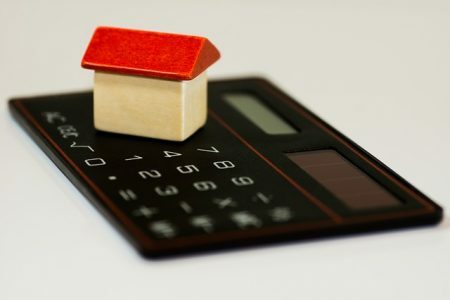 It can seem like a bargain to jump on that low-interest mortgage, but sometimes a government-backed loan will offer more buying flexibility than a traditional fixed rate or adjustable rate mortgage. If you’re ready to start searching for your first home, contact our office! We can answer any additional questions you have and start the process of finding your new home.